Here are some serving suggestions from Kami Kenna, a longtime Portland bartender who grew up in Spokane and is now a partner in the Peru-based company PiscoLogia. Dry shake (without ice) in a cocktail shaker, then shake again with ice and vigor. Strain, and serve up with a dash of Angostura bitters for garnish. Muddle lime wedges. Build drink over light ice, adding pisco and bitters. Top with ginger beer. Stir, serve up, garnish with orange peel. Serve over ice. Top pisco with tonic. Garnish with a citrus wheel. Meg McFarland sipped her first pisco sour – a frothy mix of clear Peruvian brandy, sugar, egg whites, bitters and lime juice – in Lima almost 16 years ago. And she has since made it her mission to help pisco become appreciated around the world. McFarland founded PiscoLogia, a boutique craft pisco distillery, in Peru in 2008. 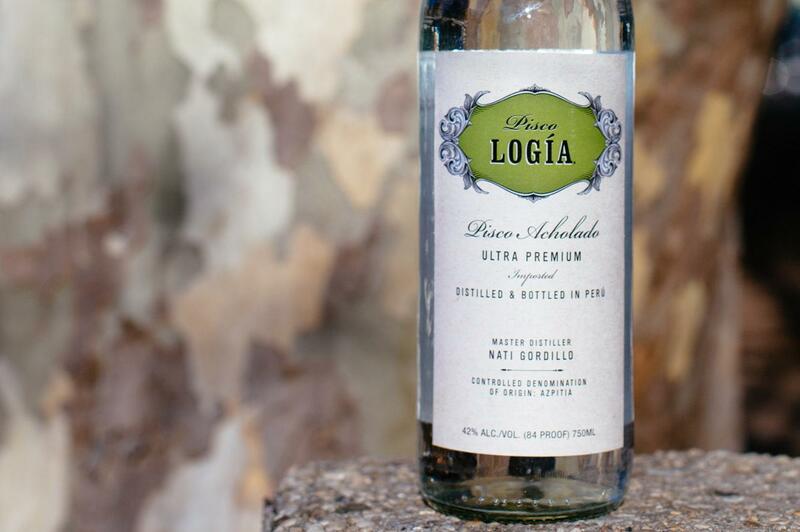 Recently, both PiscoLogia products – Pisco Pura and Pisco Acholado – were picked up by a national distributor that has accounts in most states as well as Washington, D.C. That means it could become easier to find them in her native Inland Northwest. McFarland isn’t the only PiscoLogia partner with a Spokane connection. She runs her company with two other women, one of whom also grew up in Spokane – although the fast friends and business partners didn’t know each other while they were living here. Kami Kenna, a longtime bartender in Portland who – like McFarland – grew up and graduated from high school in Spokane – won a trip to Peru in a cocktail competition in 2014 and reached out to McFarland over email when she arrived in 2015. She was interested in learning about Latin American spirits, particularly pisco. The two met at a bar in Lima where they discovered that not only were they both from Spokane but they graduated from high school here a year apart. “We played basketball at the same time, but we didn’t recognize each other,” said McFarland, who was already living in Lima. She had married a Peruvian in 2013. Kenna officially joined the company in 2016. Her role is brand ambassador, educator and international sales. She also does social media for PiscoLogia. Nati Gordillo joined the business about the same time as Kenna. She’s the master distiller, vintner and sommelier. But, “We all do a little bit of everything,” said McFarland, founder and general manager. By the time Gordillo and Kenna came on board, pisco was already enjoying a surge in sales in North America, particularly in larger metropolitan areas. Since 2010, the spirit has been becoming more and more popular in places such as Los Angeles and New York, San Francisco and the Bay Area, Seattle and Portland. It hasn’t yet become mainstream in cities the size of Spokane. But both Kenna and McFarland are hoping to see that change. Pisco is a clear grape brandy that carries protected status, like Champagne. Grapes are harvested at high brix, or sugar content, then distilled in a copper pot still. Pisco is the national drink of both Chile and Peru. The spirit has a rich, centuries-old heritage in each country. But rules vary. In Chile, more than a dozen different grape varietals from two regions can be used, although just a handful are popular. Chilean pisco can rest in wood. And it can be distilled to a higher proof, which can be brought down with water. The number of times it’s distilled is left up to the distiller. The Peruvian spirit can only be made from eight particular kinds of grapes from five regions. No other ingredient – not even water – is added. Peruvian pisco must be aged in a nonreactive container, such as glass or copper, or clay pitchers informally called piscos. Wood isn’t allowed. In either country, pisco can be enjoyed neat – as both an aperitif and digestif. Of course, it can also be mixed in cocktails, such as the Pisco Sour. Infusing pisco with fruits and herbs is also popular. Most restaurants and bars in Peru and Chile offer these house-made macerados, which are used to flavor cocktails. Depending on the kind of grapes used, pisco can carry notes of white pepper, chocolate, blueberry, white flowers and more. PiscoLogia produces two kinds of pisco: Pisco Pura, made from 100 percent estate-grown Quebranta grapes, and Pisco Acholado, made from a blend of Quebranta and Italia grapes. In Quechua, a native Peruvian language, the word “pisqu” means bird. Pisco is also a port city in Peru and the capital of the Pisco province. The spirit was first exported from here. PiscoLogia’s vineyards and distillery are located in Azpitia, about an hour drive south of Lima. But McFarland lives in Curahuasi, about a two-hour drive west of Cusco. There, her husband, Fernando Gonzales-Lattini, owns and operates Apu Winery. “He was looking for perfect conditions and he found them in the Andes in the middle of nowhere – so that’s where I am,” said McFarland, 38. They have two children, ages 4 and 5. During college at the University of Washington, she studied abroad in Granada, Spain. She returned to the UW for her master’s degree, also in Hispanic Literary and Cultural Studies, and owned an alpaca clothing line. She was teaching 100- and 200-level Spanish language classes at the University of Puget Sound in Tacoma when she decided to move to Peru. She would like to move back to Spokane – “hopefully,” she said, “in the next two years.” Meantime, she tries to come home to the Inland Northwest twice a year. Most recently, she was here for the holidays. Kenna, who now lives in Oaxaca, Mexico, visited Spokane in autumn. She had graduated from Mount Spokane High School in 1999, then moved to Portland to attend Portland State University to study Spanish. She bartended in the Portland area for about 13 years – at the McMenamins Edgefield property in Troutdale, Oregon, as well as the now-closed Brazen Bean, Circa 33 and Church in Portland. And she specialized in tequila and mezcal cocktails. At PiscoLogia, she said, “we don’t buy grapes. We don’t buy juice.” Their products use only estate-grown grapes. And that’s just one of the things she appreciates about the business. She’s particularly impressed with the methods of Gordillo, PiscoLogia’s master distiller. “She’s by the book, and I think that translates into her product,” Kenna said. On the web: http://piscologia.com/ and https://craftdistillers.com. Published: Jan. 22, 2019, 5 p.m.